Before starting a new career, you want to know as much about the job as possible. Truck driving is different than a typical 9-5 job, and you may not know the daily tasks of a trucker. 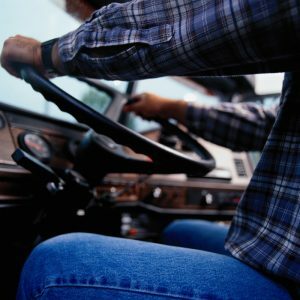 Continue reading to have a better understanding of what a day in the life of a truck driver looks like before deciding if a trucking career is right for you. While truck drivers have different schedules and various job duties, many drivers try to get in as many miles as possible while on the job. That means waking up at the crack of dawn to get in as many miles on the road as possible. Keep in mind that truckers can’t drive over 11 hours in a shift, and can’t drive past the 14th hour since they started. This may sound confusing, but basically, if a driver starts at 8 am, they must stop driving by 10 pm, (no matter how many breaks they’ve taken) and can’t drive over 11 hours in that timeframe. Also, truckers have to take at least ten hours off between shifts. So, many truckers get up around 4-6 am to start their morning routine. After eating breakfast and taking a shower, truckers may check their messages and the weather forecast for the day. It’s also a good idea to check for traffic or safety conditions along their route of travel. Once they are ready to drive, they will head out to a shipper or receiver. After a few hours of driving, most truck drivers will take a break in the early afternoon for gas, to stretch their legs, or have a snack or lunch. It’s important for truck drivers to take a break every few hours, as sitting for long periods of time can result in negative health effects. Remember to stretch every day, and try to get in some exercise whenever possible. Also, since truck drivers are traveling all across the country, most like to take some time to check out the sites. If time permits, many truckers will enjoy the local scenery and walk around famous spots while they are in certain states. As for lunch, eating out at fast food restaurants often can really take a toll on a trucker’s wallet and health. Some drivers keep a refrigerator in their truck, which is very useful for staying healthy and saving money. The end of the day will vary depending on when the trucker starts driving, but once their time is up, they can relax. Truckers will find a place to park for the evening and have some dinner, perhaps get in some exercise, and then spend some time relaxing and getting rest before along long day of driving. This entry was posted on Friday, October 12th, 2018 at 7:11 pm	and is filed under Trucking Industry. You can follow any responses to this entry through the RSS 2.0 feed. Both comments and pings are currently closed.